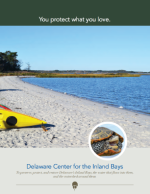 The Delaware Center for the Inland Bays was established as a nonprofit organization in 1994 under the auspices of the Inland Bays Watershed Enhancement Act (Title 7, Chapter 76). Its creation was the culmination of more than 20 years of active public participation and investigation into the decline of the Inland Bays and the remedies for the restoration and preservation of the watershed. 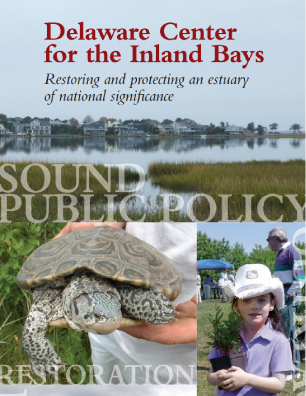 Delaware’s Inland Bays were designated an “estuary of national significance in 1988 by the U.S. Congress, and as such, the Center for the Inland Bays is one of the 28 National Estuary Programs (NEP’s). The Center oversees the implementation of the Comprehensive Conservation and Management Plan for Delaware’s Inland Bays (CCMP) and 2012 Addendum and promotes the wise use and enhancement of the Inland Bays watershed by conducting public outreach and education, developing and implementing restoration projects, encouraging scientific inquiry, sponsoring needed research, and establishing a long-term process for the protection and preservation of the watershed. The CIB achieves this through: Education, Outreach, Science & Research, Restoration, and Public Policy. To facilitate the wise use and enhancement of the Inland Bays’ Watershed through the coordinated implementation of the Inland Bays Comprehensive Conservation and Management Plan. To provide a forum where science supports public education and decision making regarding the Inland Bays Watershed. To foster a collaborative, consensus-building culture among watershed stakeholders crucial to support research, education, protection and restoration initiatives, and policy decisions. The Environmental Protection Agency’s (EPA) National Estuary Program was established by Congress in 1987 to improve the quality of estuaries of national importance. The Clean Water Act Section 320 directs EPA to develop plans for attaining or maintaining water quality in an estuary. This includes protection of public water supplies and the protection and propagation of a balanced, indigenous population of shellfish, fish, and wildlife, and allows recreational activities, in and on water, requires that control of point and nonpoint sources of pollution to supplement existing controls of pollution. The Center oversees the implementation of the Comprehensive Conservation and Management Plan including its 2012 Addendum. While the original 1995 plan remains in effect; the 2012 Addendum provides prioritized tasks for the next five years, including issues that have emerged since the original document was written: nutrient management, wastewater management, stormwater management, water quality management, managing living resources and their habitat, planning for climate change, coordinating land and water use decisions, and outreach and education. Under each focus area are objectives, actions and performance measures. In the years since the original CCMP was completed, much has been accomplished. Only one major point source of nutrient loading to the Bays remain of the 13 point sources identified in 1990, and two of these sources will be removed in the near future. Nutrient management plans have been implemented for nearly all the farms in the Inland Bays drainage system, and thousands of acres of land have been placed under protection. Read the full 1995 CCMP and 2012 Addendum on our Publications Page. 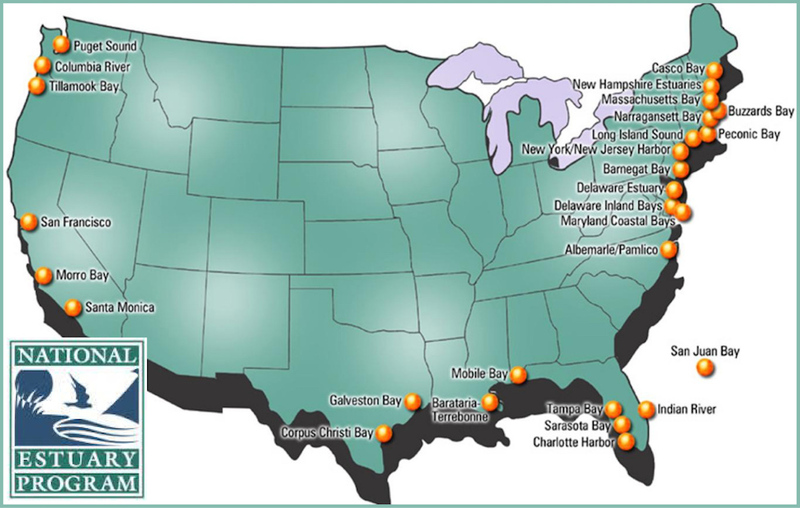 The CIB also works with The Association of National Estuary Programs, ANEP, a 501(c)3 that works with NEPs to educate key stakeholders, including elected officials, about the value and importance of clean water and healthy estuaries to coastal communities and their economies. CIB Annual Work Plans are written to meet EPA requirements for award of funds pursuant to Section 320 of the Clean Water Act. They serve as an agreement between the Center for the Inland Bays and the U.S. Environmental Protection Agency for work to be carried out throughout the fiscal year focused on the implementation of the Delaware Inland Bays Comprehensive Conservation and Management Plan via research, demonstration, education/outreach, and habitat restoration activities. 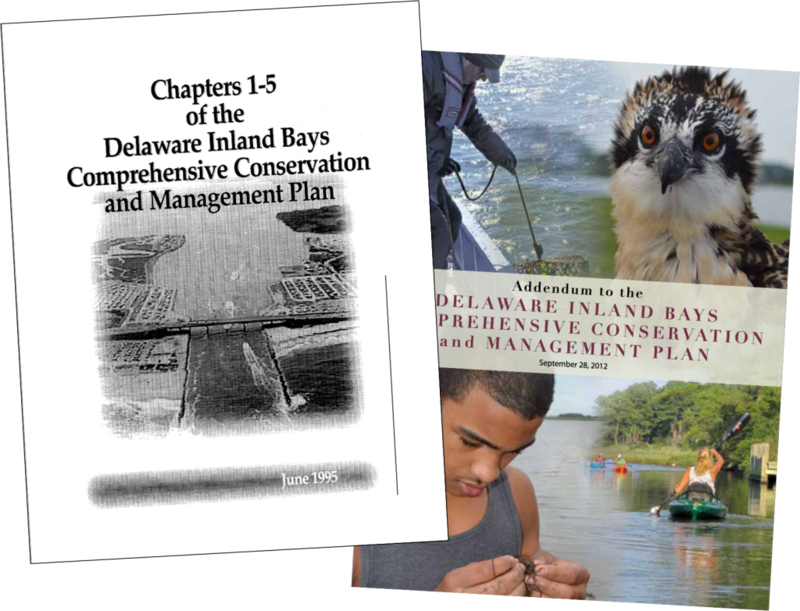 The Delaware Center for the Inland Bays will implement the Inland Bays Comprehensive Conservation and Management Plan (CCMP) through a series of new and ongoing projects implementing various CCMP Action Plans and Tactics.